This is about a book, that has come out of this blog, and Iceland. 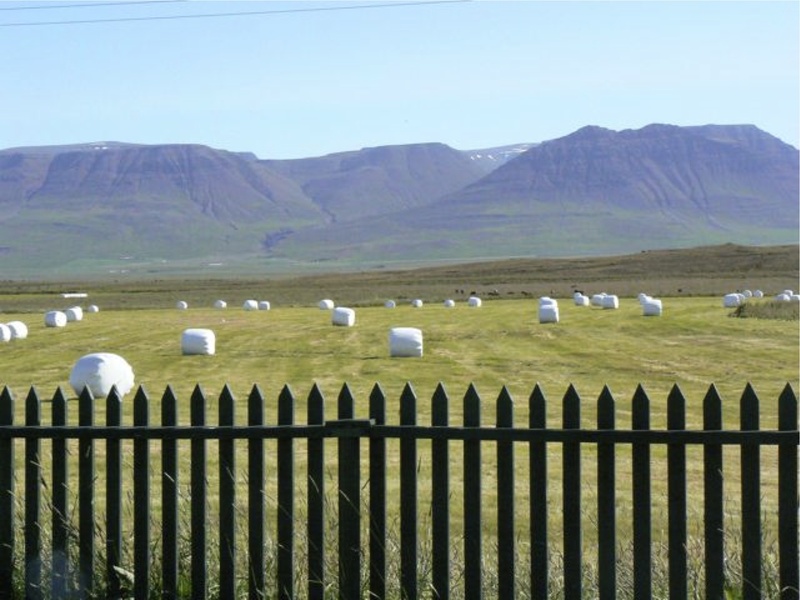 In Iceland, I learned that one of the ancient arts, older than poetry but as old as the art of knitting, is the art of haying. 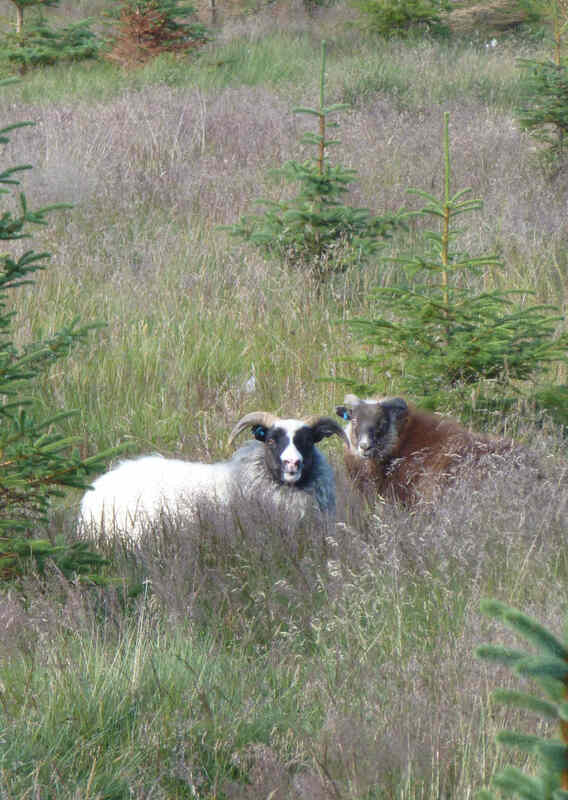 Here are a couple of Icelandic sweaters in their natural form outside of Stykkishólmur, hard at work turning hay into yarns. I was picking bilberries for lunch. They seem kindly, I think. 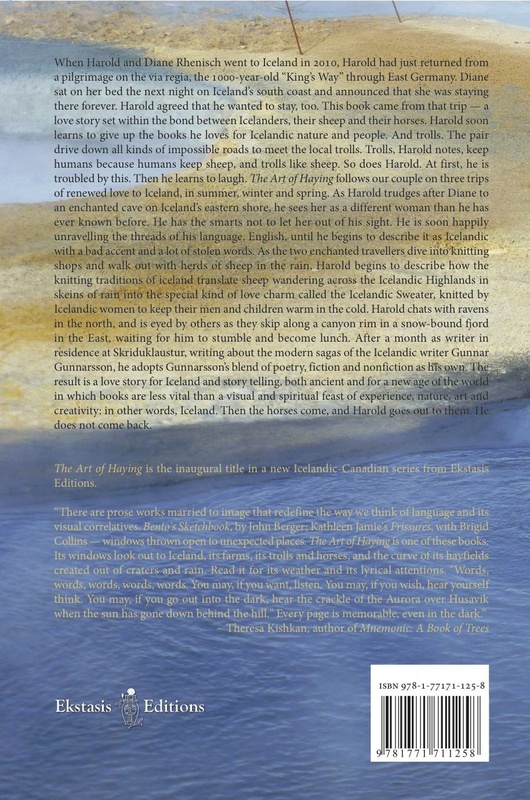 And here is the cover of my new book, The Art of Haying: A Journey to iceland (Ekstasis Editions, 2015), which is all about that, and the future of books, and a lot more. No bilberries. That will have to wait until my next Iceland book. A few bilberries on a Stykkishólmur park bench, a tub of Skyr, and thou. That kind of thing. This is a love story, for a country, for a woman, and for a way of life in which the old is new and the new is old and a man frees himself from the walls that books have made in his mind — walls that he previously didn’t know were there. It’s a scary thing, to have been kept by books my whole life, and then, one day, to step outside their pastures, but that’s what happened. The Art of Haying, is about drawing a line through grass and making a new beginning from it, not just for me but for culture on the northern shoulder of the world. Here’s a glimpse of one of the books I talk about in The Art of Haying. 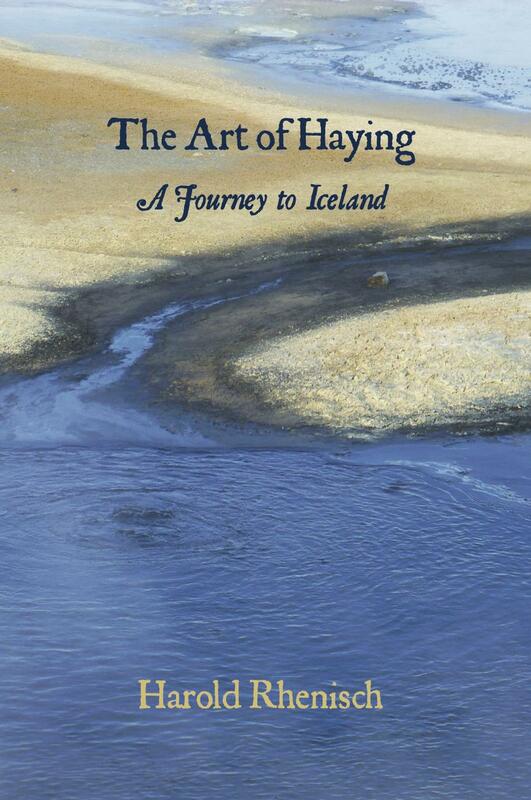 The book is gorgeous, and contains over 200 photographs from three seasons around all of Iceland. 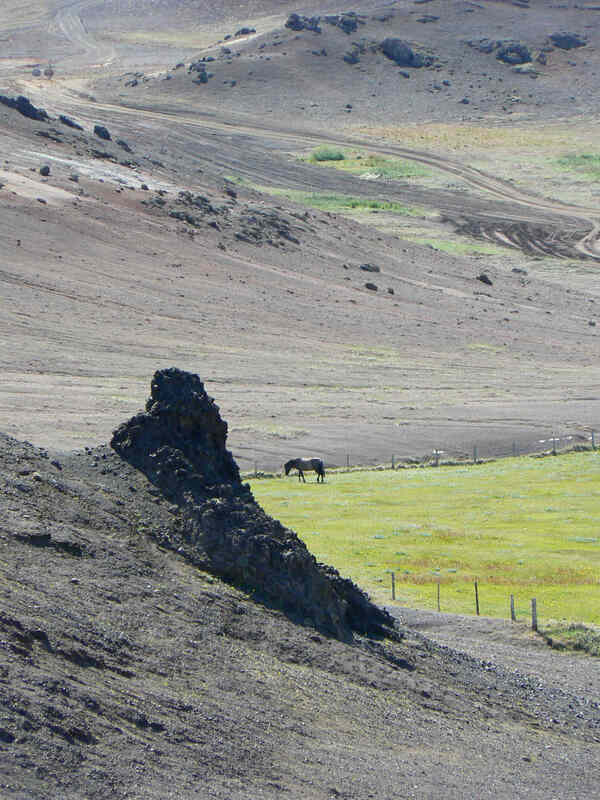 It has the mare of the sun on the Reykjanes Peninsula..
… and a Keltie in Kopasker, luring Icelandic fishermen in to the books’ pastures. It has so much more. 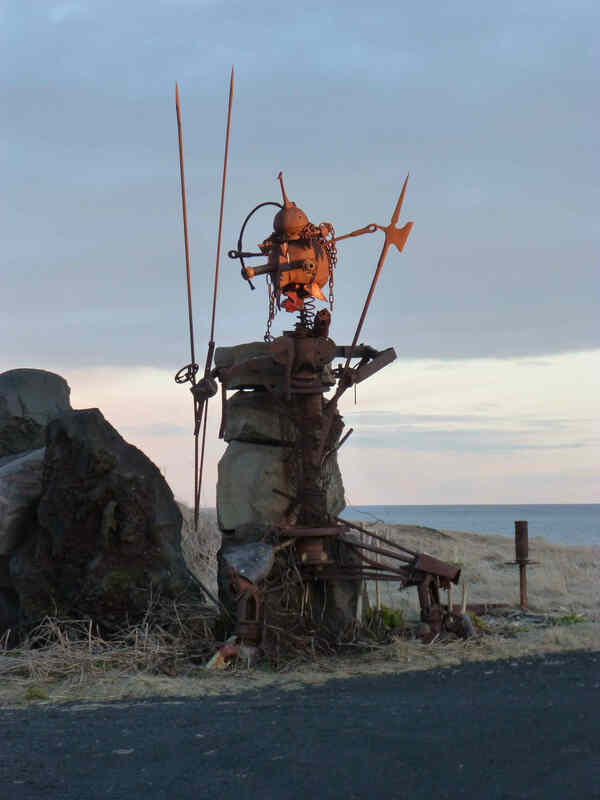 Don Quixote of Reykjavik, for example. Sometimes it’s worth getting up before dawn! The veils of the world are lifted and pushed aside! 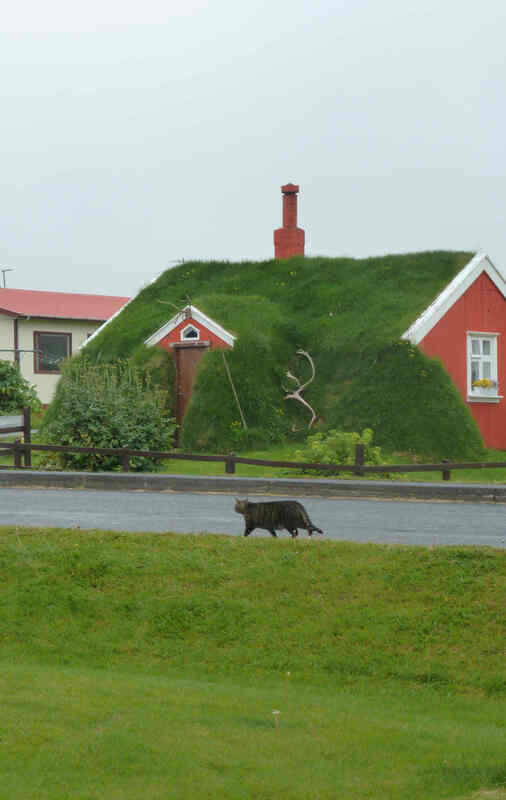 The Icelandic imagination was formed from life in houses such as the turf house at Hólar below, and the scripts of darkness and light they wrote for the body and the mind that followed it like a hand. The Art of Haying is a travel book, a book of gentle, playful philosophy and wit, a love story, and a story of spirit. 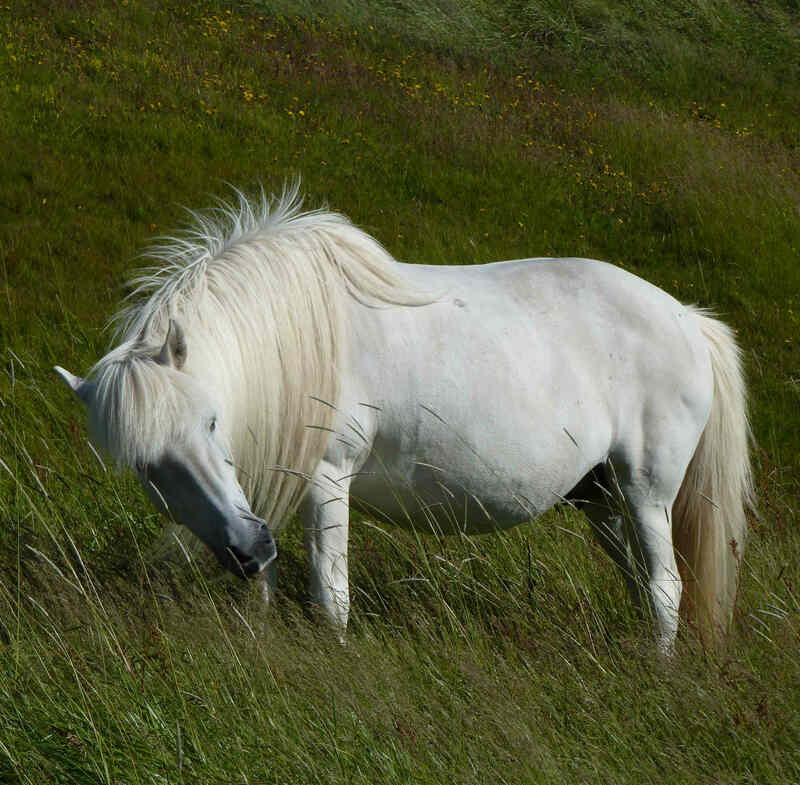 Horses are human souls here, like this one in its bookish pastures in Reykjahlíð. 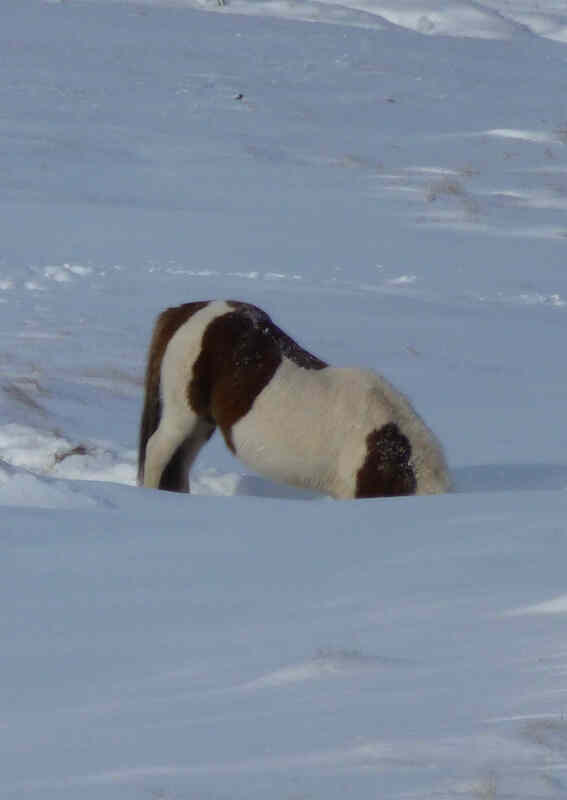 If you’ve never met an Icelandic horse, that might seem merely a poetic device, but if you have, well, I’ll let this horse at Hófstaðir in the Skagafjörður show you how to drink at that trough. There is a unique form of creativity on Iceland, that in my three visits I had the privilege of glimpsing and at times even walking within. It’s a kind of playfulness within things giving their full dignity, not as objects of commerce, but as presences with which one shares the world, and which have within them creative energy, always ready for release, if one leads them to the right pastures, or out of them. 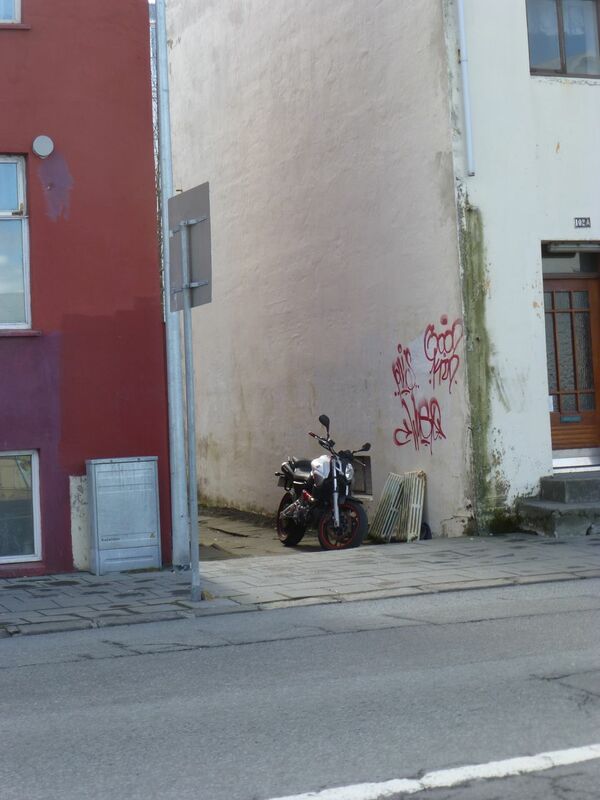 Here’s the god Oðin’s horse Sleipnir, for example, waiting for his master on the Hverfisgata in Reykjavik. 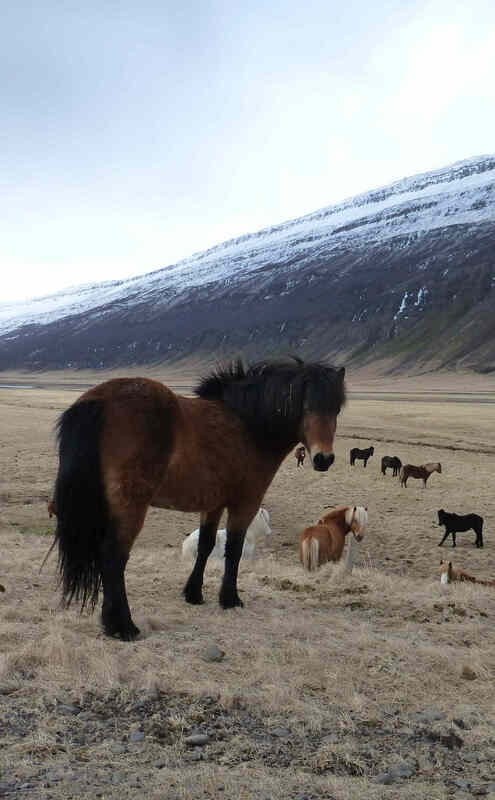 … and all winter the horses live in societies of their own, fed by men and women. This is considered by all a solid foundation for an economy. Here’s a group of Icelandic literary critics up to their own business on a spring day by Sóleyjarbotnar Farm in the Sturlufljöt, for example. There are prose works married to image that redefine the way we think of language and its visual correlatives. Bento’s Sketchbook, by John Berger; Kathleen Jamie’s Frissures, with Brigid Collins — windows thrown open to unexpected places. The Art of Haying is one of these books. 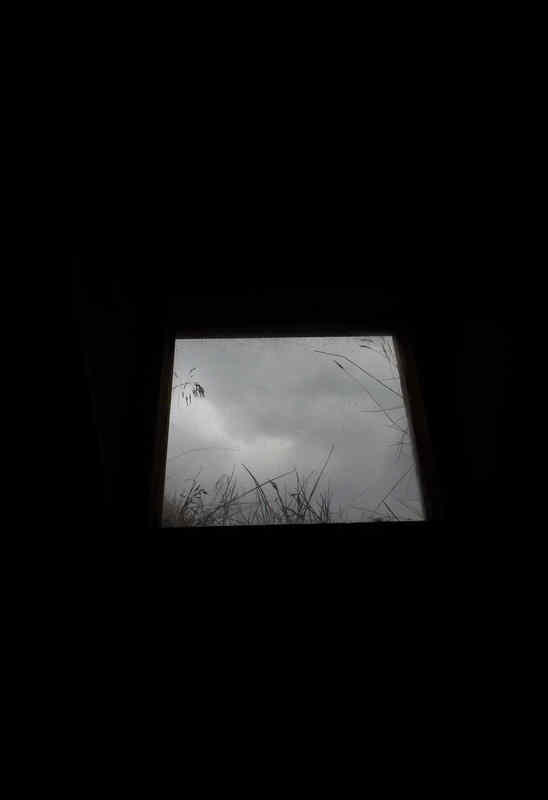 Its windows look out to Iceland, its farms, its trolls and horses, and the curve of its hayfields created out of craters and rain. Read it for its weather and its lyrical attentions. “Words, words, words, words, words. You may, if you want, listen. You may, if you wish, hear yourself think. You may, if you go out into the dark, hear the crackle of the Aurora over Husavik when the sun has gone down behind the hill.” Every page is memorable, even in the dark. Ah, yes, there are trolls here, in a place where the human imagination is not bound but is out on the land itself and is read there. Here’s one at Klausturhamrar early on Easter morning. There’s a secret about the trolls in the book, but you’ll find that out when you read it. Here, though, I’d like to introduce you to the incident that sparked The Art of Haying. I joined my wife in Reykjavik on the second of two trips across the old Iron Curtain into the former East Germany. It was that experience, which broken down the walls that the Twentieth Century gave to me, and all of us who lived through it. 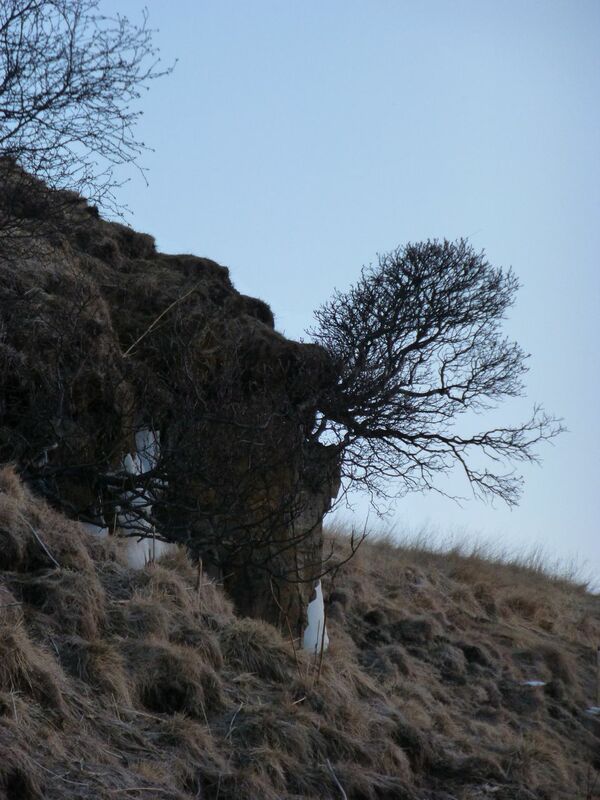 When I arrived in Iceland, I was ready to see, and I did. 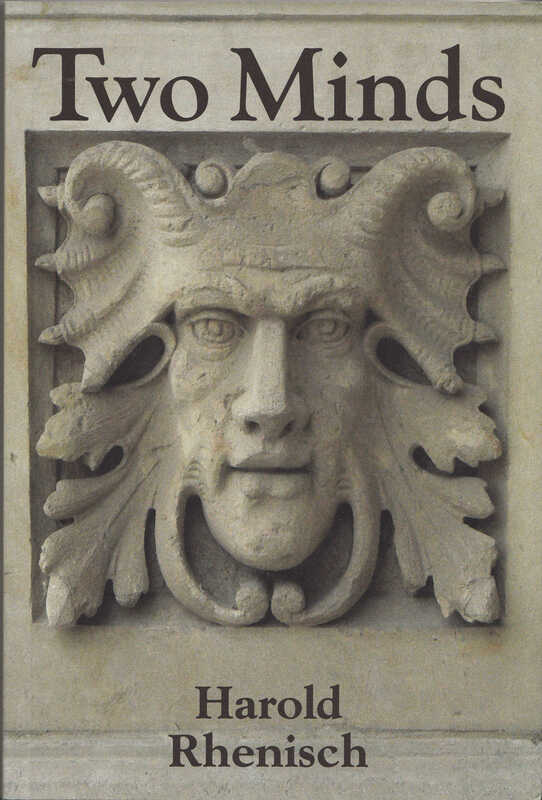 A part of that two-way pilgrimage on the Northern Camino is in my new book of poems Two Minds, because it’s there I met Khezr, the Sufic Green Man, who graces the cover of my book. 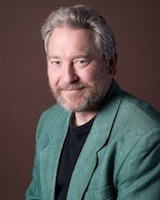 The story of that remarkable encounter is here: http://haroldrhenisch.com/2015/10/06/khezr-the-hidden-prophet-and-my-two-minds/. So, there you have it, two journeys that become one, and two minds united, outside the walls, by attention to words and what is more than words. 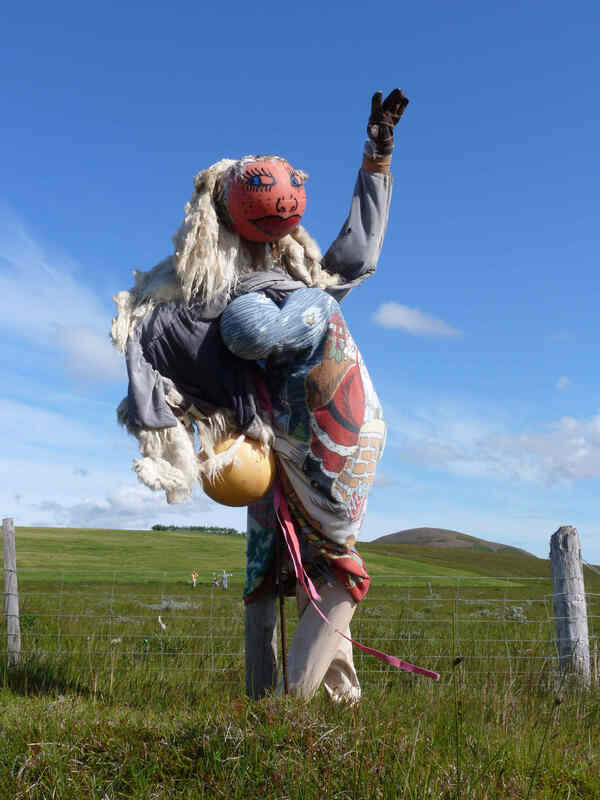 This entry was posted in Art, Enlightenment, Huldúfolk, Land and tagged book history, consciousness, Green Man, Iceland, Khedr, nature photography, Photography, Sufism, The Art of Haying, travel book, trolls, Two Minds on October 6, 2015 by Harold Rhenisch.